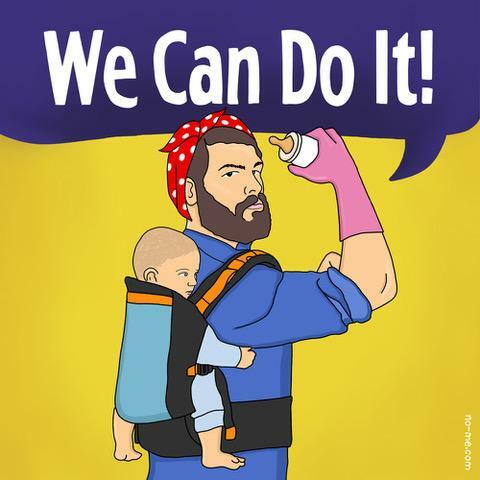 It seems that everywhere you look at the moment, someone is talking about Shared Parental Leave. And rightly so! Since 2015, dads and partners have been able to take paid time off work during their baby’s first year, but only around 2% of eligible couples have taken up the offer. Giles over at youthedaddy.co.uk has been working with the government to publicise this using his #sharetheleave campaign. He’s doing an amazing job of making people aware of their right to paid time off with their children in that crucial, formative first year. He’s written more about it here, if you want to have a look. I’m over the moon that I’m able to take Shared Parental Leave. I will be taking a few months off from October, when Laura goes back to work. BabyCentre asked me if I would write about it for their blog, so if you want to find out why I’m sharing the leave with my wife, click here or on the image below to read more.